You can connect your bot to a Telegram chat account and chat with your bot on mobile, or have your bot manage your Telegram channel. Check Messages Have the bot check its telegram messages. 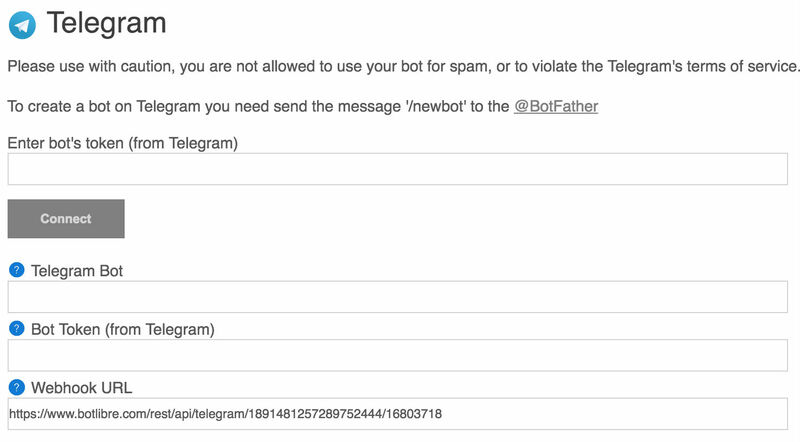 Telegram Bot You do not need to enter this, just click Connect. Bot Token (from Telegram) You do not need to enter this, just click Connect. Webhook URL Enable realtime messages and then click Connect to automatically send your webhook to Telegram. Check messages (poll) Configure if the bot should poll for new messages and reply. Realtime messages (webhook) Configure if the bot should use a webhook to reply to messages in realtime. Remove Button Text Configure if the bot should remove the button text from the message. Track Messages Stores message in bot's input and conversation logs. Group Reply Mode Choose bot's reply mode (Ignore, Listening Only, Listening, Discussion, and Conversation) to the group. Channel You can have your bot manage a channel, and post from an RSS feed, or auto post. 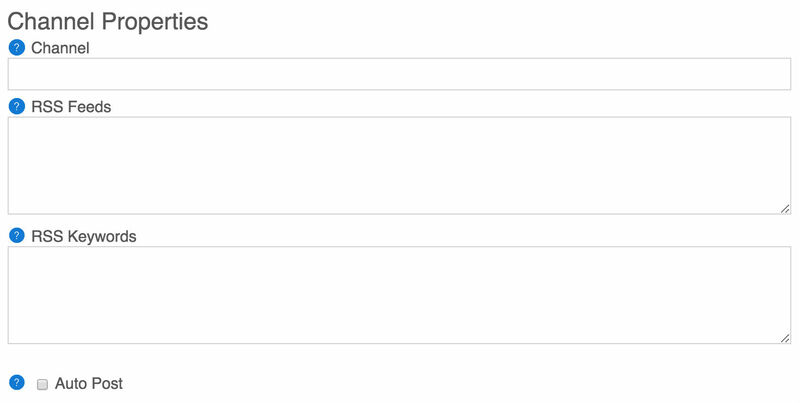 Enter your channel's name, and ensure your bot has been added as a channel administrator.